Copyright © 2011. DevaleOnline.com. All Rights Reserved. DeVale heads a nonprofit organization coined The Platform. The Platform’s mission is to empower low-income, at risk youth with the skills necessary to successfully compete in the global economy. 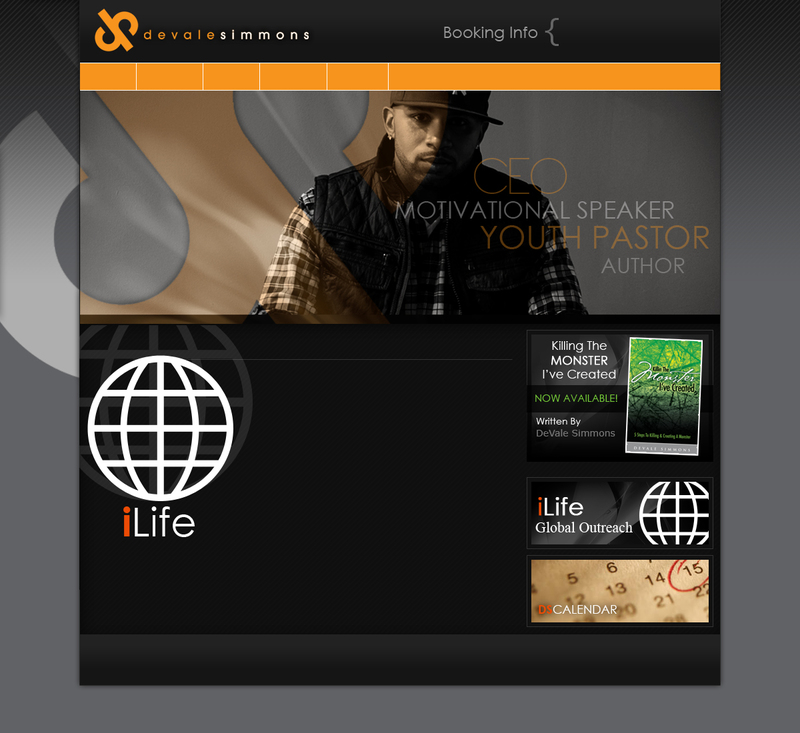 Demonstrating his passion for reaching youth globally, DeVale has formed such organizations and programs as iLife Global, a strategic youth leaders consulting firm and initiative network for youth leaders, Student Life, a Saturday community program for inner city youth that focuses on education, music and sports, leadership development and The S.E.T (Saving Every Teen), a social networking experience designed specifically for teens. DeVale has served in local youth ministry for over a decade and brings a fresh and relevant approach to effective and healthy purpose-driven youth ministry. iLife Global is one of the leading 21st century youth development and consulting firms in the country today. Our team provides consultations that range from analysis off site to one-day visits to multi-month and multi-year contracts. Fees for the consultations are submitted in a consultation and fee proposal. The Platform is a non- profit 501 (c) 3 organization that focuses on Economic Development and exposes students to entrepreneurship, job training, and leadership development. The purpose of The Platform is to educate and empower low- income at risk youth through quality-level programming and services. Some of our services include: Academic Advisory and Support, Workforce Development, Leadership Development, Life Skills and Mentoring. We seek to expose middle and high school students to entrepreneurship opportunities. We will serve as the "Platform" for them to become future leaders and business owners. The Platform gives youth a sense of self worth and an entitlement to success through hard work and focus. Their proximity to actual business, and community partners will induce the feeling of belonging in environments of influence and give tangible reasons to aspire to leadership. The Platform's Academic Advisory and Support Services will labor with them to achieve academic success. Our Workforce Development will teach youth the essentials of resume building, interview techniques and career research. The Leadership Development and Mentoring program will empower youth with ethics, integrity and persistence that is essential to entrepreneurship. 2) At the local level, creating a groundswell of activism on behalf of kids through sustainable community outreach programming driven by industry experts, strategic grant making and technical assistance workshops for our beneficiaries. The result will be the empowerment of millions of disadvantaged children and their families, raising the level of their expectations and achievement in educationally under-served communities.